Auto Design Guru Roberto Velozzi Discusses Challenges of Designing the 'Super Electric Vehicle' - Haig Barrett, Inc. The Latest installment of Haig Barrett’s Sustainovation Group Sustainability Roundtable featured superstar auto designer Roberto Velozzi and his new hybrid electric vehicle, the Solo. The event, held at Haig Barrett offices, was held Friday, March 4, and showed attendees how design is a crucial factor in driving electric hybrid vehicle sales in the future. 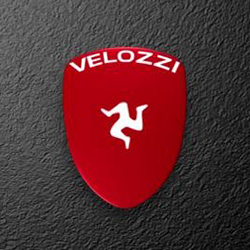 Velozzi, who helped design the Tesla and Lotus sports cars, talked about how from a young age he was fascinated with auto design and more recently how he could incorporate high performance race car materials into the new era of electric and hybrid electric cars. Velozzi has worked with NASA and the Jet Propulsion Laboratory on fuel cell research and has assembled a team of advanced technology experts to create a limited production of a light-weight, cross-over electric supercar called the Solo, which he showed attendees at the breakfast meeting. Partners in the project include Bayer, Bosch, PPG, Nanoledge, Camoplast, Pirelli, Visteon, Worwag, Bradford Industries, Henkel, Ashland, Saminco, and Syvex.